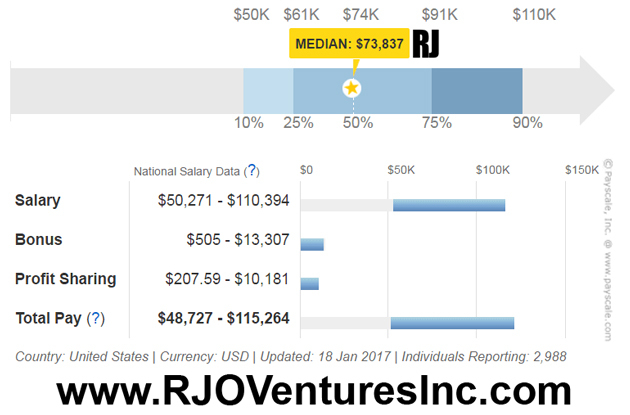 Programming and Web Developer Salaries; Featured at RJO Ventures, Inc.
FYI: Coders, Web developers and Computer programmers represent the highest paying salaries for the amount of experience they require. Corporations are in a large shortage of computer science related individuals to fill their technology positions. With apps, mobile development, Artificial Intelligence (AI), Virtual Reality (VR) and Artificial Reality (AR) taking over this century, it should be an industry that should be taken seriously for job/career opportunities. A number of people using the internet are increasing every day, giving a significant rise to a number of businesses moving online. From coffee shops to multi-national enterprises, everyone pays as much attention to their websites as to their physical stores. Print and electronic media are being replaced by the digital media. Over the past few years, more people are learning web development and adopting it as their career. Prior years, the average salaries of front end developers demonstrated that they're earning quite well and can improve further as long as they stay updated on the latest technologies and frameworks. See the statistics below. Back-end Developers are responsible for working with database and ensuring the smoothness and correct data handling for all websites. They work with core programming languages like ASP.NET, PHP, C# , Python, etc., to develop scripts, plugins and functionalities that involve data parsing, database connection, session handling and algorithm control. Usually, they get higher salaries than the front-end developers but the risk and effort associated with their job is higher as well. Usually, front-end developers learn more and become back-end developers, however, you can be a stand-alone back-end developer as well. If you are good with core programming, there are higher chances for you to get successful in this field. According to online statistics, here are the average salaries for back-end developers for the year 2018, but continually get updated as the demand continues to increase. If someone knows both, client-side programming as well as server side programming, they're called full stack developers. Since they're a combination of front-end and back-end developers, they're the highest paid. These developers are high in demand since they know more and can work alone in place of two people. Educational background and the type of credential you hold also plays an essential role in determining your salary. People with formal degrees are paid higher than those with diplomas and certificates. Similarly, having additional certificates from designated organizations such as Microsoft, Cisco, etc. also add value to your profile. Besides the degree, the field of study matters as well. 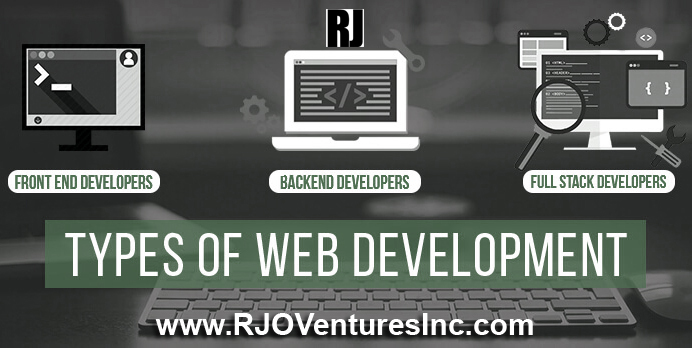 For example, having a web application development degree is better than having an information technology or computer engineering degree if you want to work as a website developer. 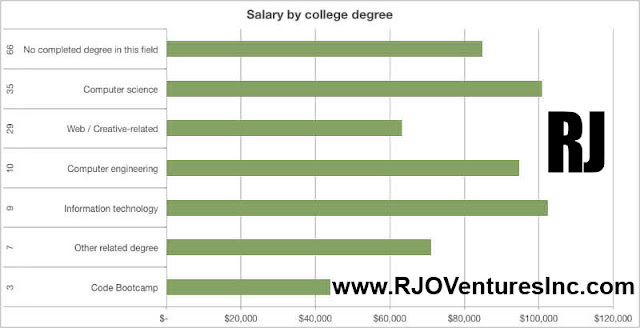 Here are some statistics showing the average salaries based on educational background. Organization Similar in every other field, salary depends mainly on a number of experiences. In web development, new people are hired more frequently since they are considered to be knowledgeable about the latest technology trends. However, the more active you are in this field, the higher you'll earn money. Getting old as a web developer becomes beneficial when you continue learning and adopting new trends with time. This is very obvious but worth mentioning that salaries also depends on the strength of your employer. If you are working in a multi-national company with wealthy and large clients, they're going to pay you increasingly with incentives and bonuses. Different companies offer different salaries but keep in mind, the higher the salary, the greater the responsibility. If you're just coming out of college and looking to work to learn and groom yourself, you can start with small companies and build your experience before moving to the larger organizations. Working as a web developer is different for different places. A web developer in New York City will have a different salary compared to another state or city. This generally happens due to competition. When more people become web developers in certain cities, competition among them increases. People looking for job/career positions, begin working on lower salaries, impacting the average salaries for web developers in that area. On the other hand, in areas where there are more employers and fewer web developers, employers try to temp good resources with promises of higher salaries. Many people relocate to areas where there are higher salaries and less competition. Be sure to check out the statistics before deciding about relocating.